Corner Hostel i Berlin, Tyskland : Boka nu! 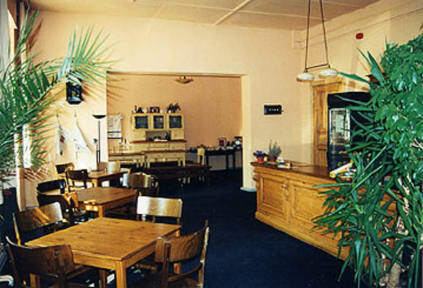 Our hostel is conveniently located in the district Prenzlauer Berg, famous and loved for its interesting mixture of people, its night life and the continuous existence of beautiful old houses from the turn of the last century. Some typical Berliner inhabitants will welcome you to an open and warm atmosphere, giving you a bit of 'Berliner feeling'. They think with their heart and give with their minds and try to support you with personal advice wherever they can. There is no curfew in our hostel so you can come and go as you please and our rooms are clean and quiet. We charge 3,- EUR once for the bed linen or you bring your own linen, no sleeping bag please. No vayan es bastante malo y esta lejos de todo!